Meet contemporary Aboriginal artist Gordon Syron at Sydney Living Museum and see him refresh his 1999 painting Invasion III, the last in a trilogy focusing on Aboriginal perspectives of first contact and colonisation. Gordon Syron is known as the father of contemporary urban Aboriginal art. His works are politically motivated and come from a place of self-determination and cultural pride and legacy. 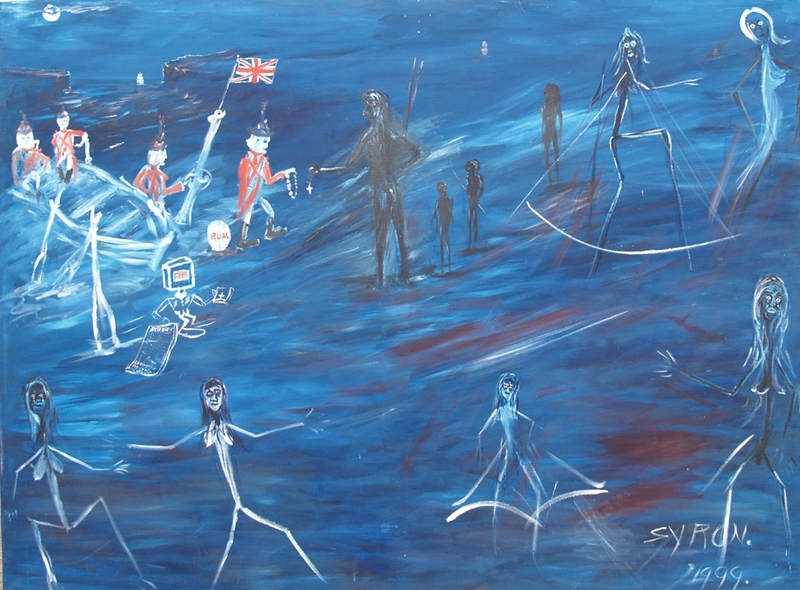 Gordon has been painting since the early 1970s, and during that time he has created more than 150 paintings depicting the invasion and colonisation of Australia. Invasion is a three-part series that has previously been on display at the Museum of Sydney. On selected dates in NAIDOC Week, Gordon will be doing a refresh of Invasion III, the final painting in the trilogy, and engaging in open discussions with the public as well as taking part in an interview with museum staff.